In fact, most software-as-a-service offerings offer 3 or more pricing options. The introductory option is free, while the 2nd and 3rd ‘premium’ options are offered for a fee, because they include additional value-added features. Or, the introductory option is free for a trial period, then the fee kicks in. 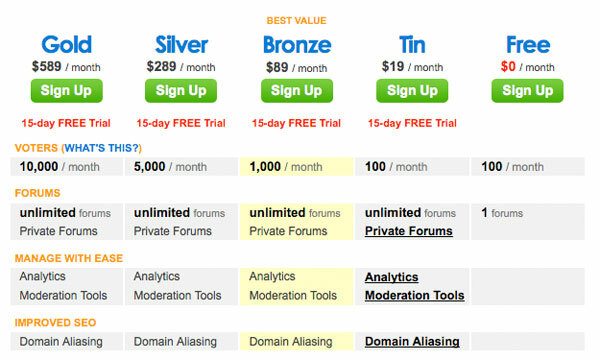 In fact, BacklinksGenie uses this freemium pricing strategy. There are many advantages to this type of pricing, mostly due to reasons driven by consumer psychology. Also, though not discussed in the article, there is psychological principle behind offering 3 versions of products and services. When presented with 3 options, consumers typically choose the middle option. They don’t want the cheapest product available, not feel they need the most expensive, highest grade one. Intel takes advantage of this consumer behavior. They have taken the same exact processor hardware and released 3 versions of it, priced at 3 distinct prices and marketed in a “good, better, best” manner. Consumers feel inclined to get the mid-level processor and pay the premium for it, even though, in actuality, the hardware is identical to that of the lowest-level processor. Here’s the original article at Techcrunch: http://techcrunch.com/2011/09/04/complete-guide-freemium/.